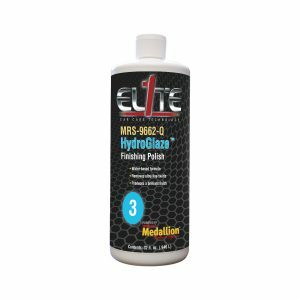 HydroGlaze quickly and effectively removes ultrafine scratches and provides a finish unsurpassed in the market today. It has excellent work time with little to no sling and is extremely easy to clean. HydroGlaze Finishing Polish is a water-based formula designed to stay wet on the surface so that you use less product but still bring out the full potential of the clear.